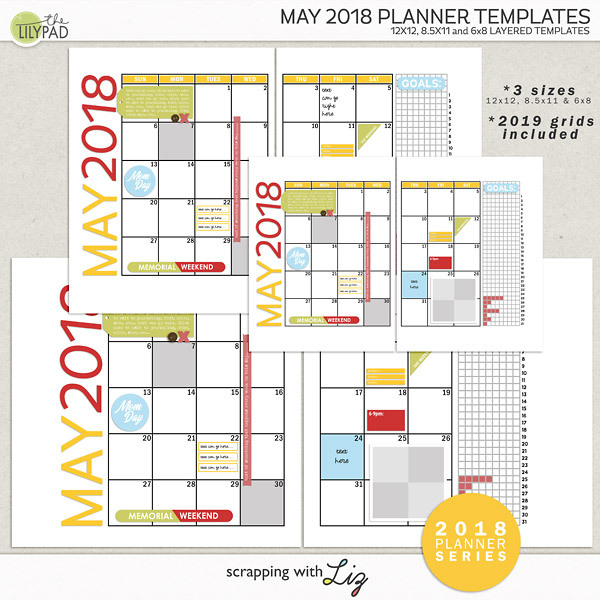 A new monthly spread, a pack of weekly pocket style templates, and a May planner are all new and on sale! 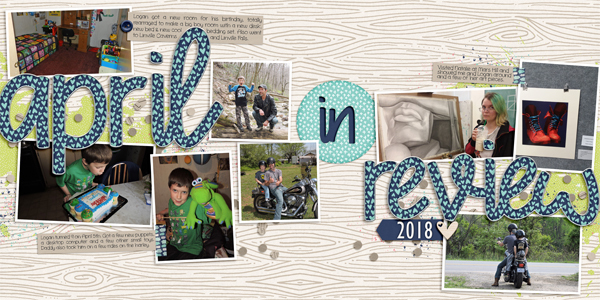 Keep up those projects with this fresh inspiration every month! These are 20% off through April 22, 2018. 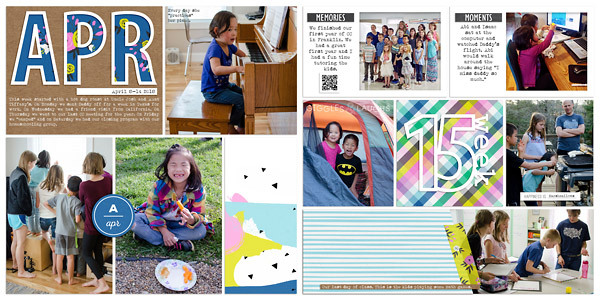 Here are some layouts for inspiration. 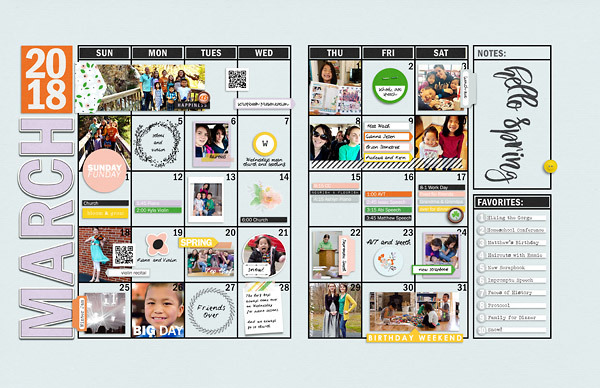 Liz made these with her March Planner Templates. She's making a review page like this every month with her planner series. 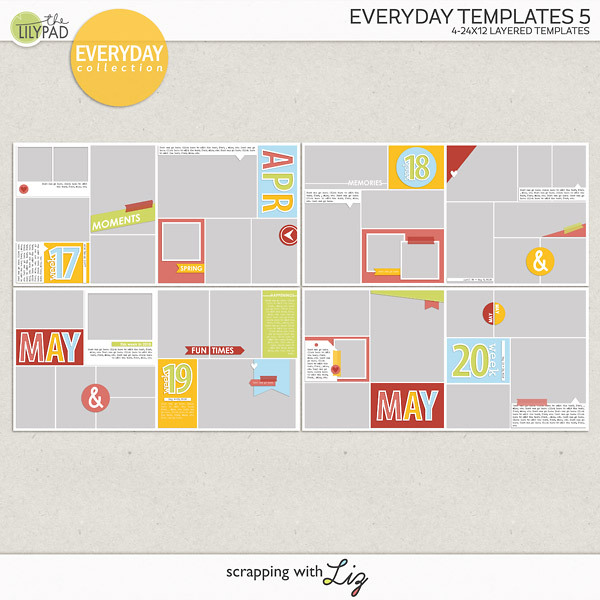 And Liz is using the Everyday Templates for her weekly spreads. 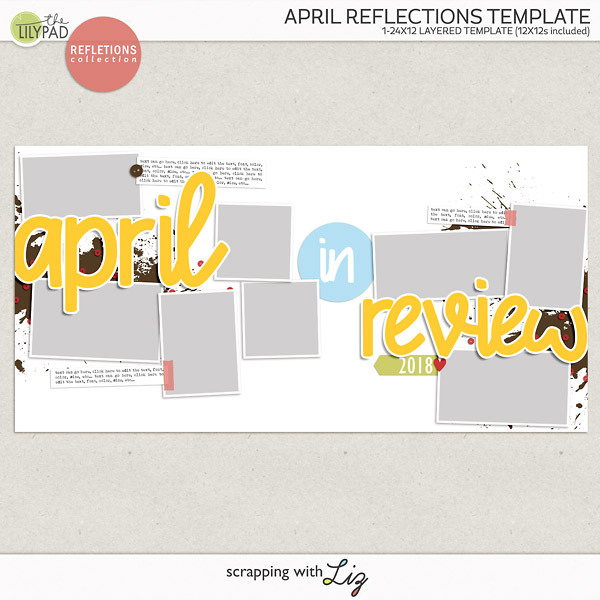 Christine made this fun April Review page with the April Reflections Template.